I just love this little dog image...so cute! I think the designer of this stamp must have seen my fur baby and fashioned it after him. Check out my baby to the right in my profile picture.....don't they look like twins? Playing today in the Avery Elle challenge for watercoloring. Honeycomb strip was watercolored and heat embossed, then trimmed to be the edge of the card. I have a soft spot in my heart for cute little white dogs!! 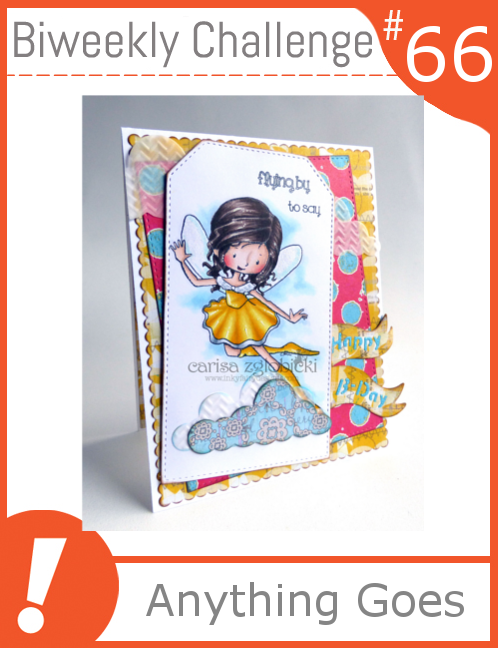 And this card is just what I need .. bright and cheerful! I can't wait for those new Distress inks to come out in the mini size! 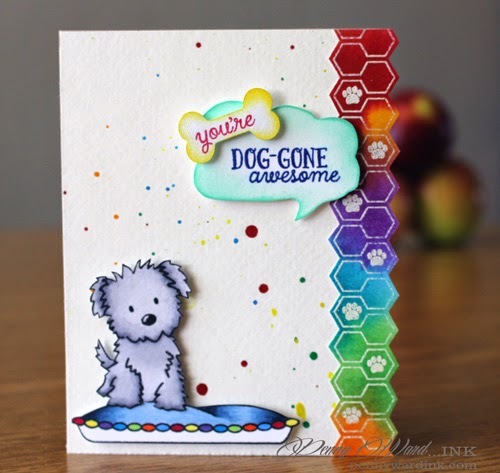 Your card is just Dog-gone awesome too! Love everything about it. ... the image, the side trim and the wonderful splatter background technique! Thank you for joining us at MarkerPOP! AWE this is sooo dog gone cute!!!! 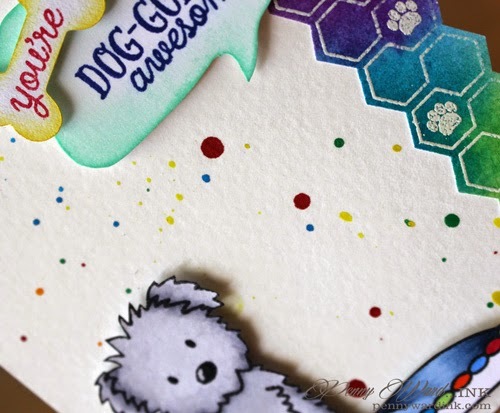 THIS is super awesome and I love, love, love that side border you did on this PAWSitively adorable card - love the colors and you have watercolored to perfection!!! 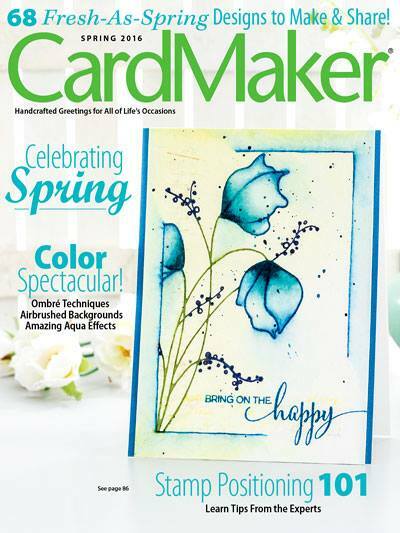 LOVE LOVE all the bright watercolors you incorporated into your design!!! That adorable puppy image steals the show! Thanks for playing along with the AEI♥U challenge!